Of course I appreciate everything that comes in my mailbox, I just love mail. But I do have my favorites (and there are things I just don't really like..). I thought it might be fun (and handy) to show you my likes and dislikes if it comes to snail mail. Please let me know about your likes and dislikes in the comments! 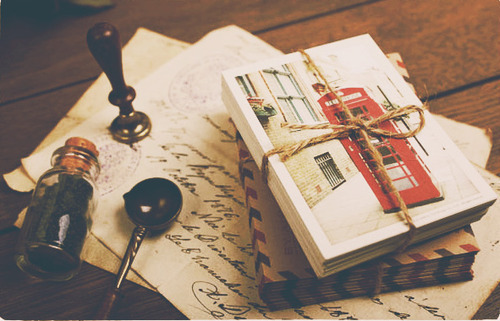 I really like vintage themed mail, especially those little polaroid postcards but random ephermera and vintage stamps are also well loved by me. 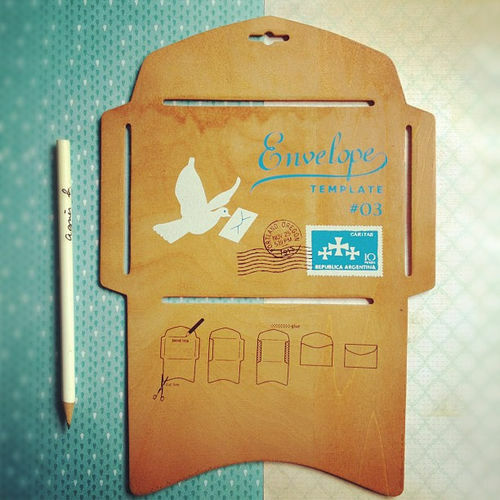 I love everything air mail themed! I don't know what the thing is about air mail, but I really like it. Images via Flickr and Papered Thoughts. 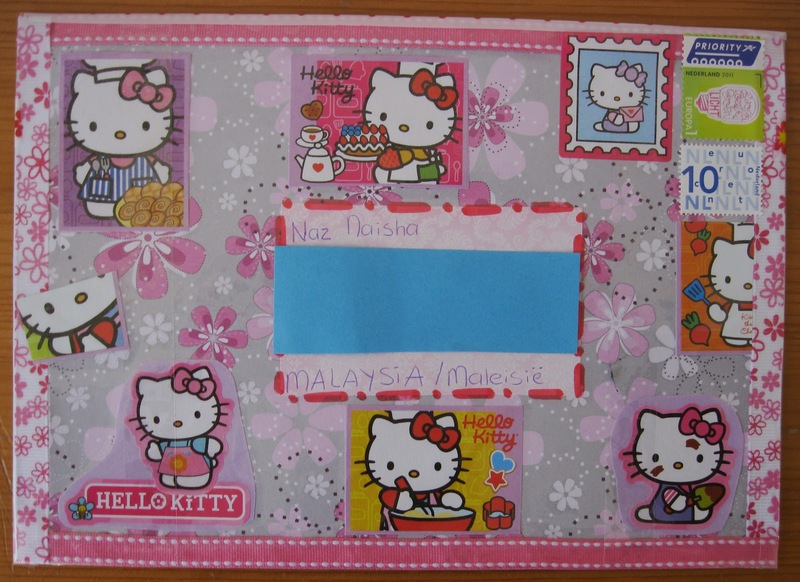 I really like selfmade things and well decorated envelopes. Mail that wasn't written in two seconds. A real surprise in your mail box! I don't really like Disney/Hello Kitty things. I know there are a lot people (above 12 years old haha!) who still like Disney/Hello Kitty but I don't. I don't really have a reason for it, I just find it more suitable for little children. Scrapbooking seems to be very hot these days in America? 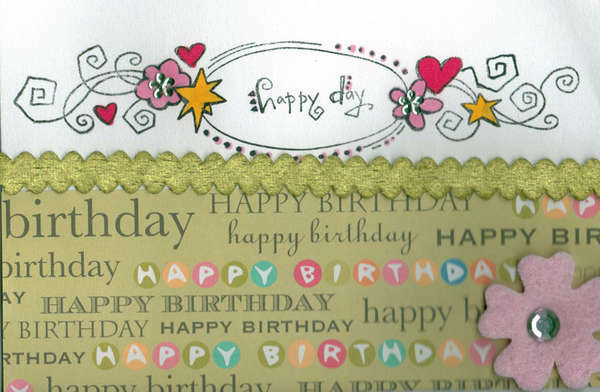 I've seen mail in scrapbook style on other blogs, and I don't really like it. Just as the Disney/Hello Kitty mail, it has something 'childish'? I can't really name it but it's just not my thing. I also don't really like letters that were written without much attention. Sometimes I really like short notes (the kind from Esther for example) but I don't like quick written letters without putting effort in it, just to get something back. Luckily I haven't received such letters yet! So.. that wasn't bad, was it? Now I'm really curious: what are your likes and dislikes if it comes to snail mail? My likes are mostly little pictures, little drawings and nice letters - long or short - where I can learn something or letters that are just very chatty! My dislikes are things that are scented (besides tea), because they tend to stick to everything inside the envelope, and then I can't store it with my other letters. Ben het er helemaal mee eens. Van figuurtjes en cartoons wordt ik niet warm of koud, maar mooie vintage-achtige papierwaren met een volwassen look... love it! Mooie foto's ook bij de Likes! 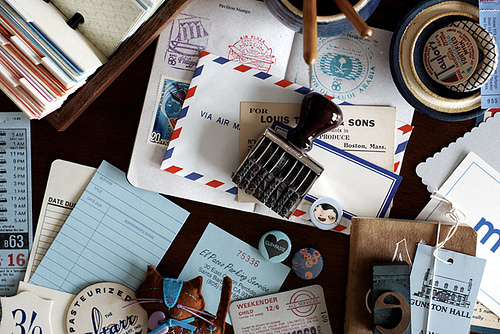 I agree, vintage style mail is absolutely beautiful. I know a lot of people are crazy about busy stationary with cartoon characters (my friends use a lot of Lilo & Stitch and anime themed paper), which I don't mind because they're always pretty and I just love hearing from them, but I prefer just a clean sheet of paper and a pen. It appeals to my inner Jane Austen geek--I can imagine myself as Elizabeth Bennett, poised as a desk, full of wit, with an elegant scrawl as I write to a dear friend. Unfortunately, I have no skill with decorating envelopes. The best I do is using magazine or newspaper clipping to pretty them up a little. Your examples are absolutely beautiful...but I do really like the Pooh themed tape! Great post! I agree... I don't like Hello Kitty and to much pink things. Ik ben groot fan van Disney, dus dat zou ik juist graag ontvangen haha. Als er maar tijd en moeite ingestoken is. Verder heb ik niet zoveel eisen, het is altijd leuk om post te krijgen! I know what you mean with Disney, Hello Kitty and Scapbook stuff being 'childish'. There's just too much pink, flowes & glitter involved for me to be comfortable with! I like to keep it simple - less is more. Handmade, personal & vintage sound perfect to me!